At 19:33 of the third period in the Kings/Predators game, video review supported the referee's call on the ice that Mike Fisher's shot completely crossed the goal line. Good goal Nashville. 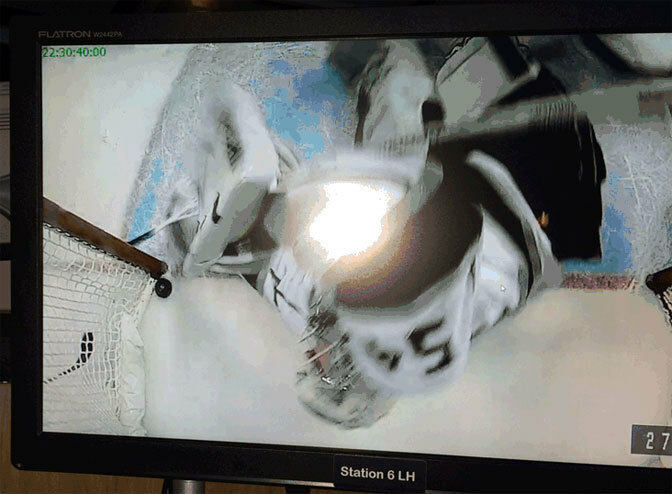 The below photo shows a view of the NHL's in-net camera.